Tim Colliver has joined The Times-Gazette’s newsroom team as its newest reporter. 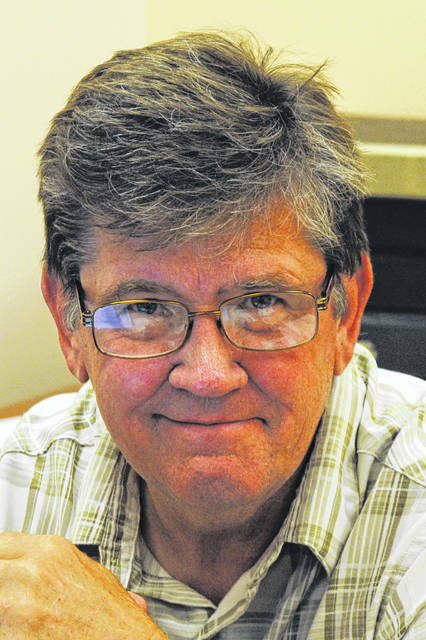 Colliver, a Mowrystown native, former radio personality and published author and teacher, will focus on feature writing and local government coverage in his new capacity at The Times-Gazette. After graduating Hillsboro High School in 1975, Colliver worked at various broadcasting companies and radio stations in Ohio and Kentucky until 1991, when he became the director of the radio department at the International College of Broadcasting in Dayton. Colliver moved back to the area in 2006, and since then has worked as a state-certified driver education instructor and a technician for a home medical equipment company. The Times-Gazette Editor Jeff Gilliland said he’s happy to have Colliver on the team. Colliver said he enjoys journalism and getting to know the community again. In his spare time, Colliver enjoys building museum-quality models and studying history. He resides in the New Market area with his wife, Clarine. Colliver can be reached by calling 937-402-2571, or by email at tcolliver@aimmediamidwest.com.